A superb sleep nest for a summer baby, a breezy moses basket means baby can sleep blissfully anywhere you are – inside or out! Giving the traditional bassinet a run for its money, a moses basket is a beautiful alternative. 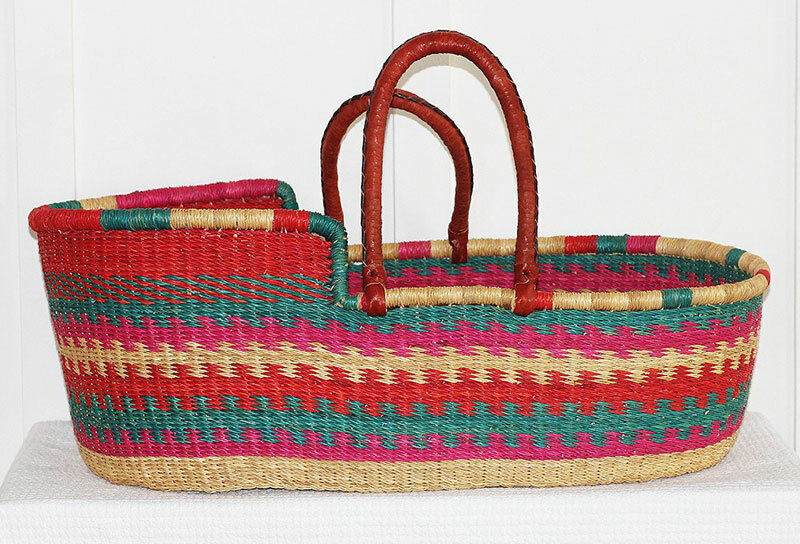 Proudly and expertly woven by Ghanian artisans using leather, sun dried elephant grass and coloured with traditional plant and mineral dyes, these beautiful baskets are completely sustainable and tick the eco-friendly box. A sweet spot for baby to sleep or kick about and when they’ve outgrown it, moses baskets make great toy storage and a bed for ted or favourite doll. These baskets sell out fast so be sure to nab yours quickly. Choose an understated, classic Au Natural Moses Basket or choose the complete opposite, full of colour and fun with the Pixie Moses Basket. Available from The Young Folk Collective, priced $199.